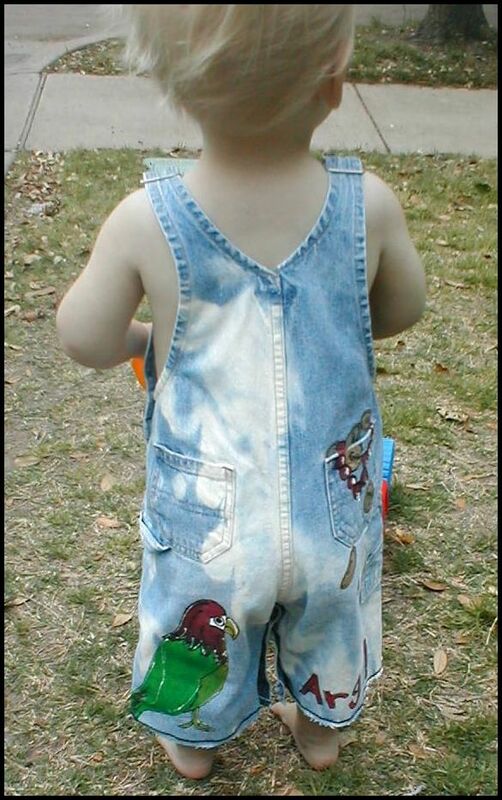 Here is a Pair of Custom painted Pirate overalls in a portrait of your little guy. 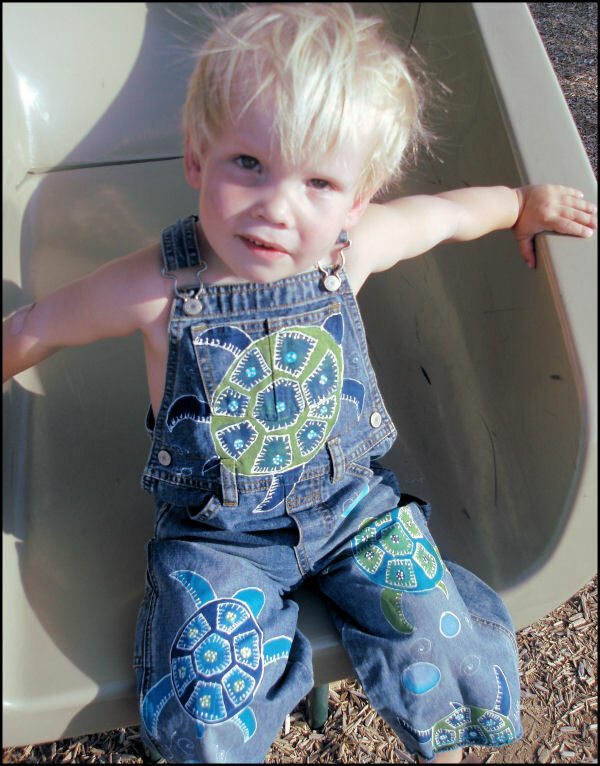 Super FUN, Pirate wear. 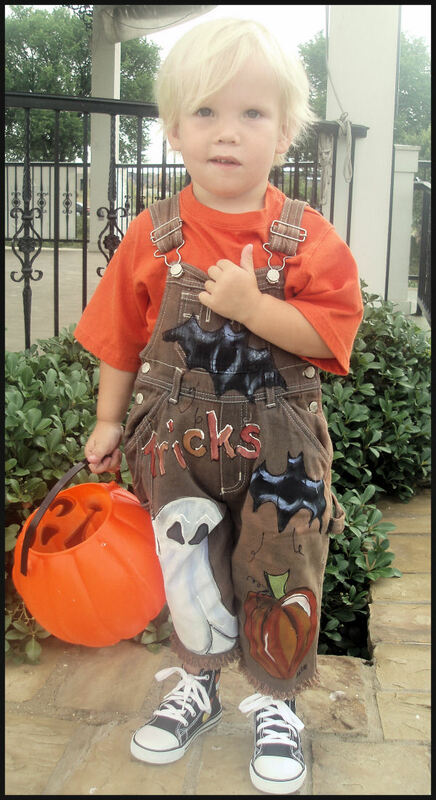 You supply me with a picture of your little guy and I will paint him up in his Pirate Garb! Arrr!! 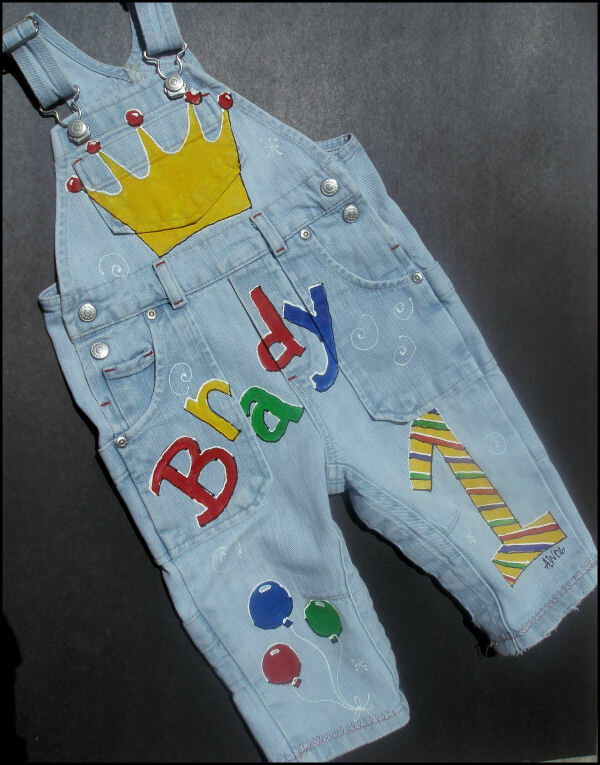 Custom Painted Overalls for Boys--Halloween!